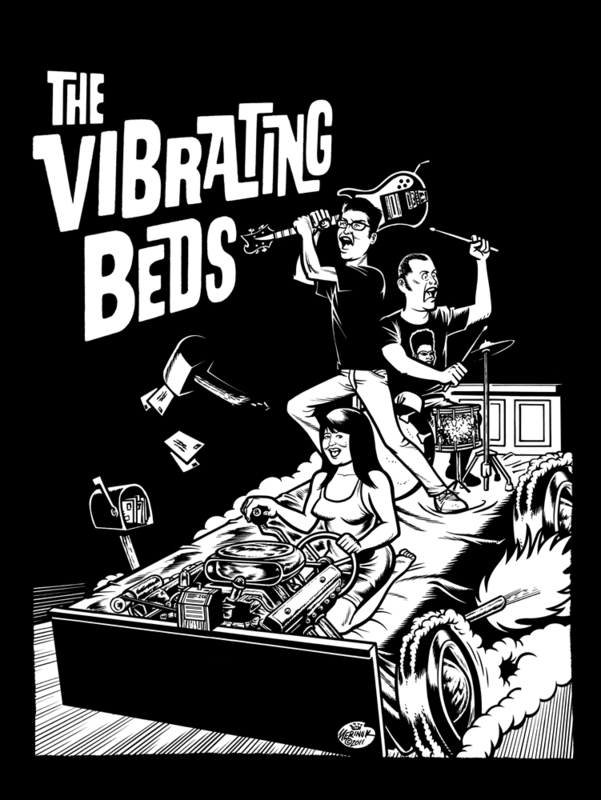 Here be a T-shirt design I done drawrn for thee #1 local garage rock combo here in Weenerpeg, The Vibrating Beds! 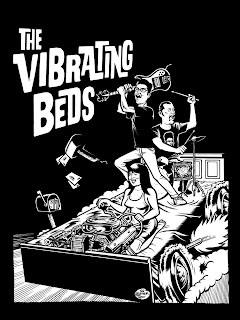 Check out their boss 7" on Transistor 66 Records. Stay tuned for MORE ACTION!